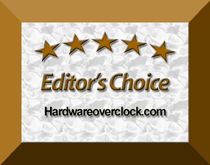 "Summary Overall this is a great video card, and I definitely recommend that you buy it!.." "If you're looking for Radeon 6850, you may stop looking and order HIS 6850 IceX Q Turbo no.."
"Yes this HIS HD 4650 one of the best card I eve owned .I alwayes looking for ATI Radeon ti.."
"The 7770 has been amazing since day 1. Here I am a year later and its still going strong..."